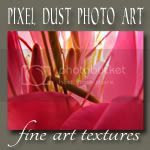 Pixel Dust Photo Art: Access A Treasure Trove of Textures! 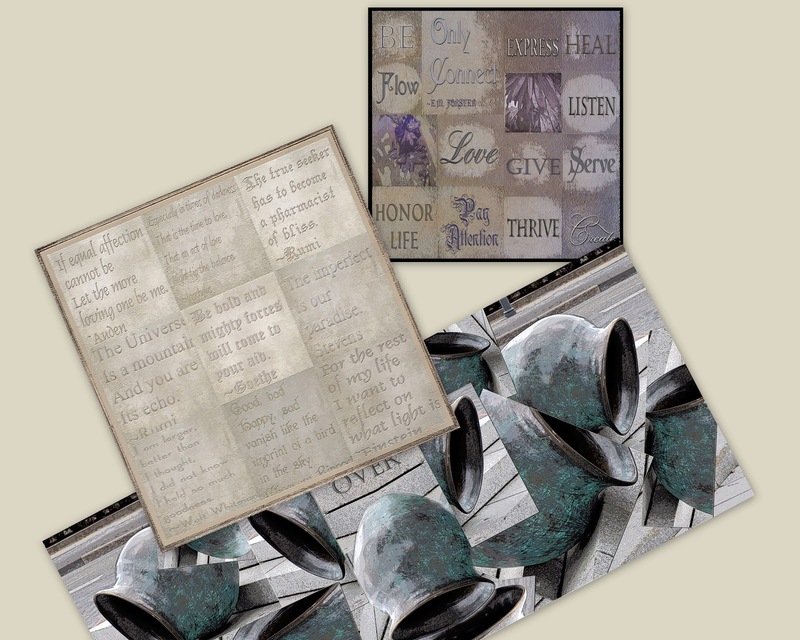 Access A Treasure Trove of Textures! As mentioned in a previous post and in a recent email some of you have received, I have custom-designed textures coming out my ears. 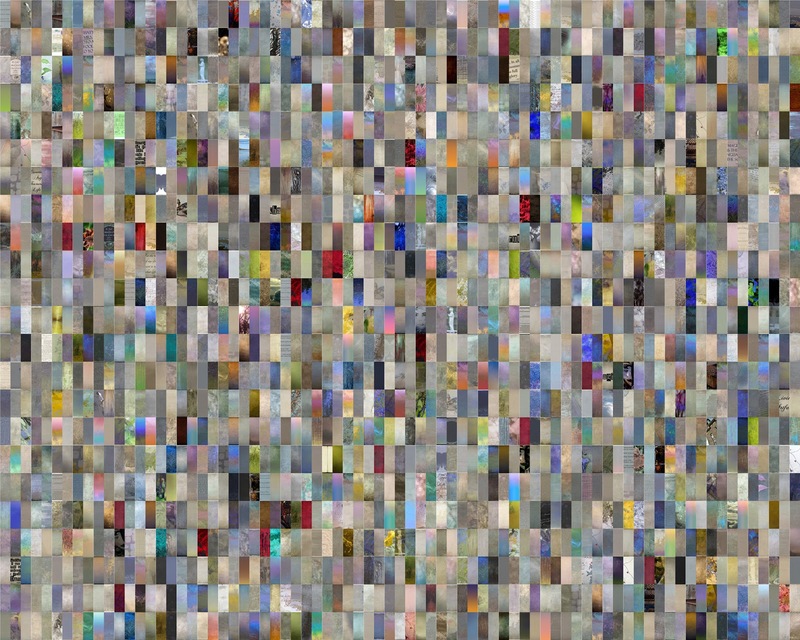 It's a shame for these 2000+ textures and backgrounds to sit languishing in my archives, so I have devised a way to make them available to you. 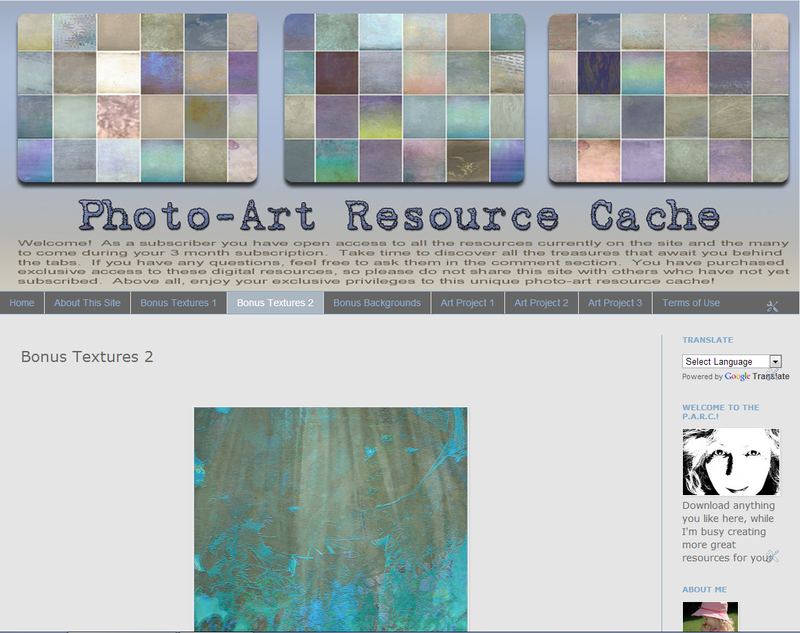 If you would like to access an exclusive site already laden with custom-designed textures - and with posts every week containing even more high quality photo art resources for download - you can now subscribe to the new Photo-Art Resource Cache. 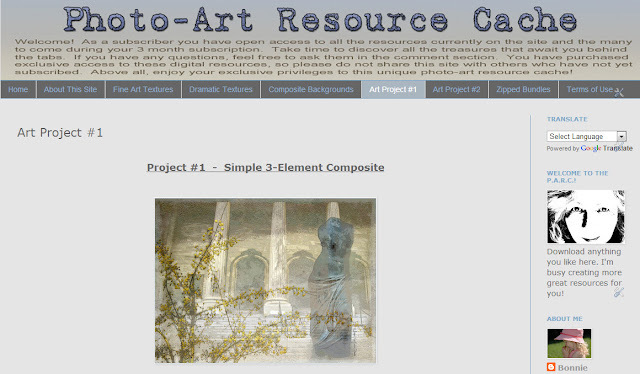 A 3 month subscription to the Photo-Art Resource Cache is yours for only $25.00. 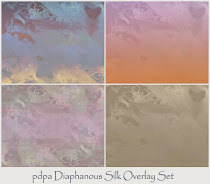 * At least four (4) high resolution textures and backgrounds, such as the ones in these texture collages (and such as the ones you find at pdpa), will be released each week during your 3 month subscription period. 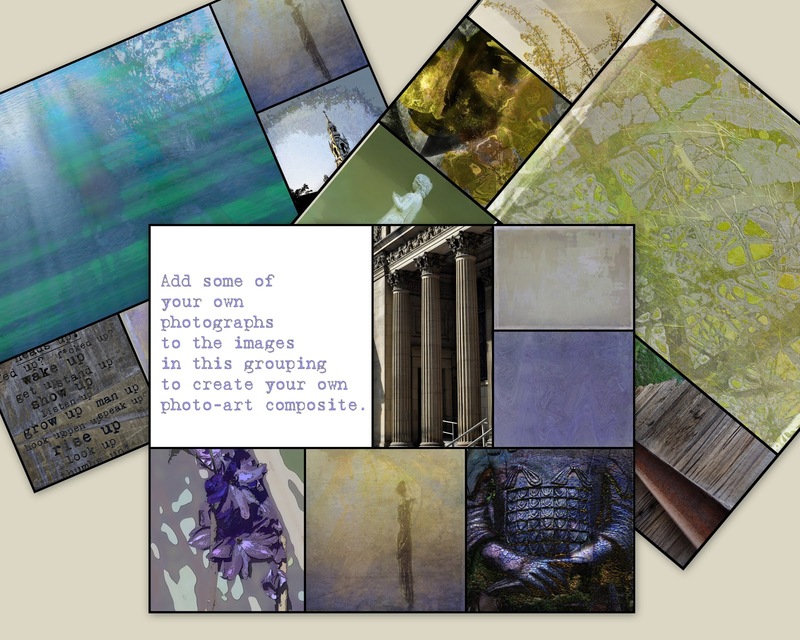 * Fabulous ideas for photo-art projects (that you can totally personalize), complete with custom templates, optional images for the projects, and detailed instructions. * Recipes, recommendations, links, inspiration and encouragement will also appear in the posts with your custom textures. 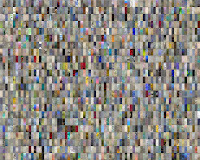 Since each week a minimum of 4 new textures will be released on the site, you will acquire at least 48 diverse textures for the duration of your subscription! 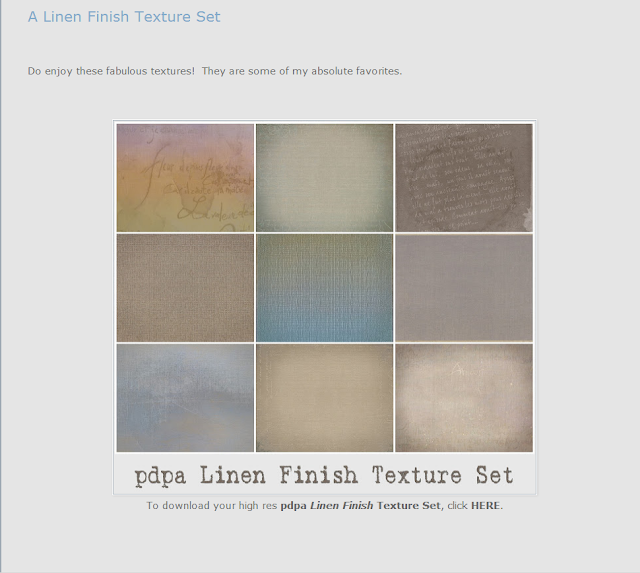 And as a bonus gift, literally dozens of textures and other resources will be ready for download when you first arrive at the subscription site! 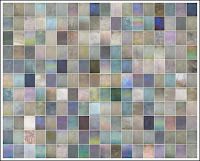 This means that by subscribing you will add over 100 high resolution textures and backgrounds to your texture library. Bonus subscription gifts await you behind the tabs under the header at Photo Art Resource Cache. You can immediately download them and then download the new textures arriving in posts to the site. 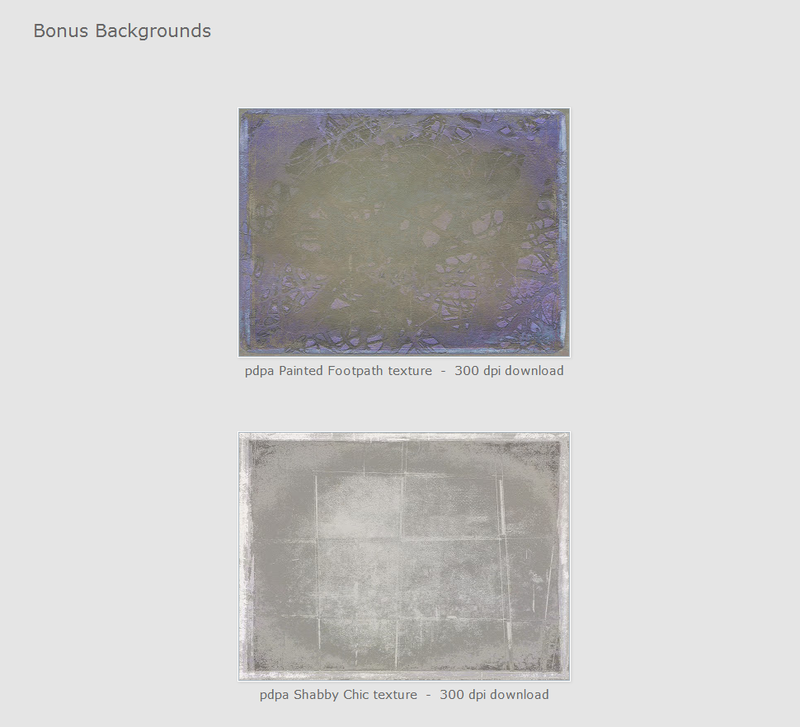 A texture set you will receive upon arrival at the Photo Art Resource Cache. 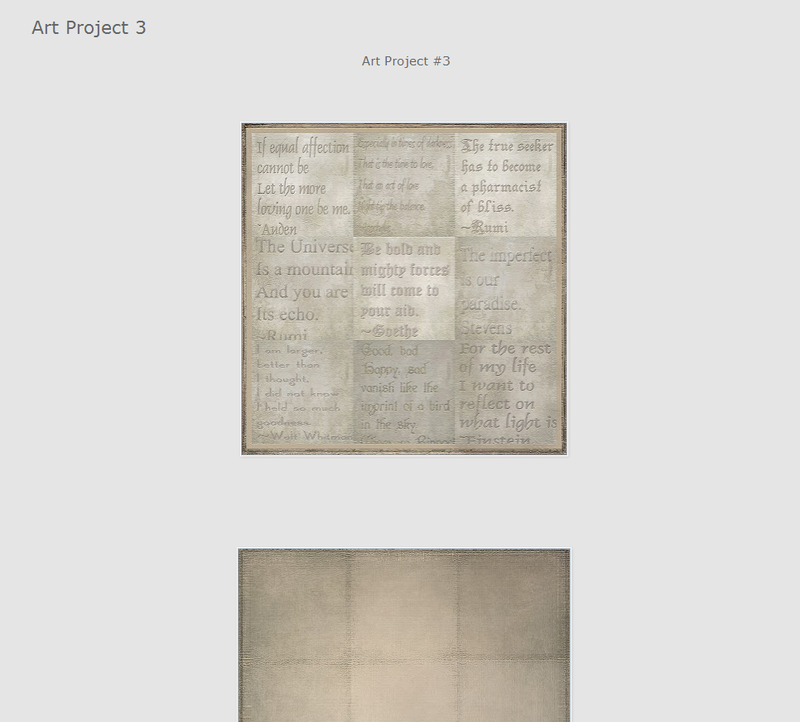 Backgrounds like these, for your collage projects, await you behind the Bonus Tabs. Another photo-art project with all the components you need waiting for you on site. 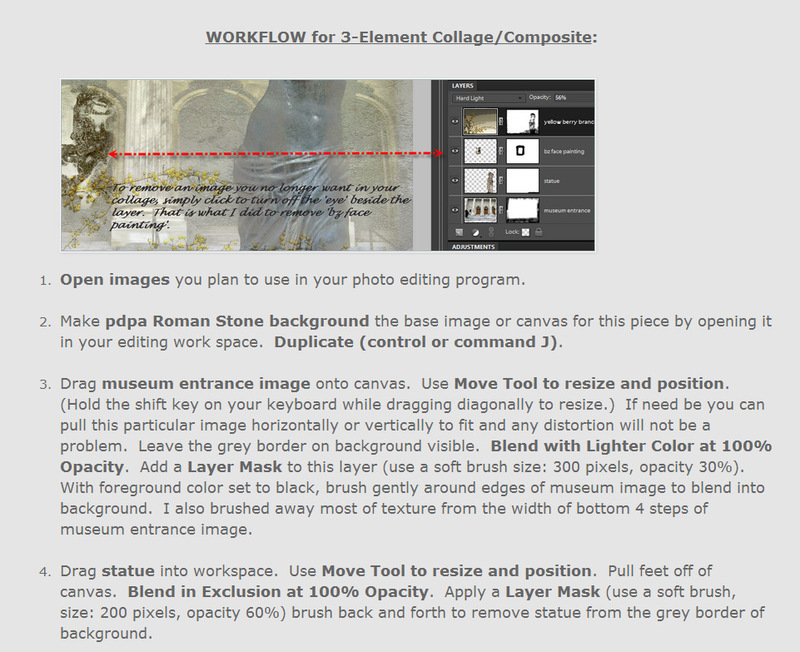 A peek at the instructions provided for creating a digital collage project that you will access on site. 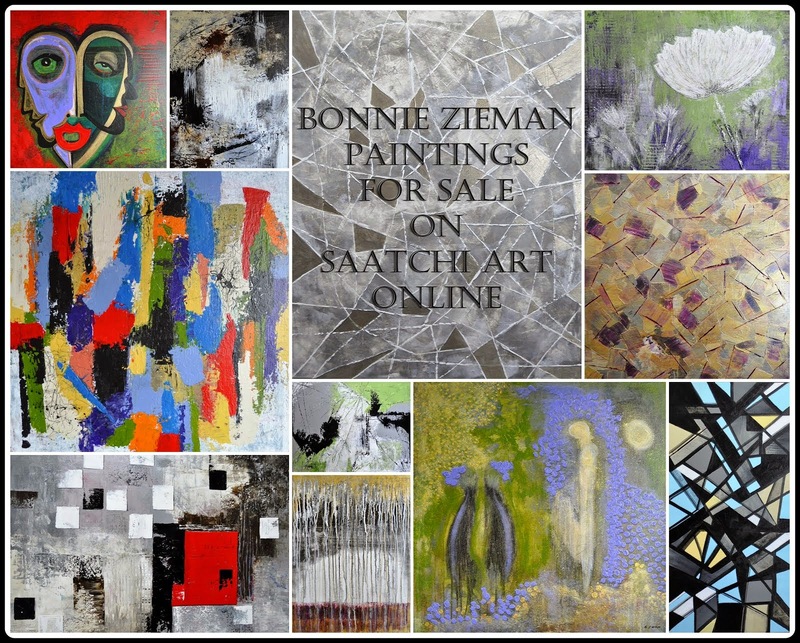 A subscription entitles you to private access to all these digital art resources for a 3 month period. 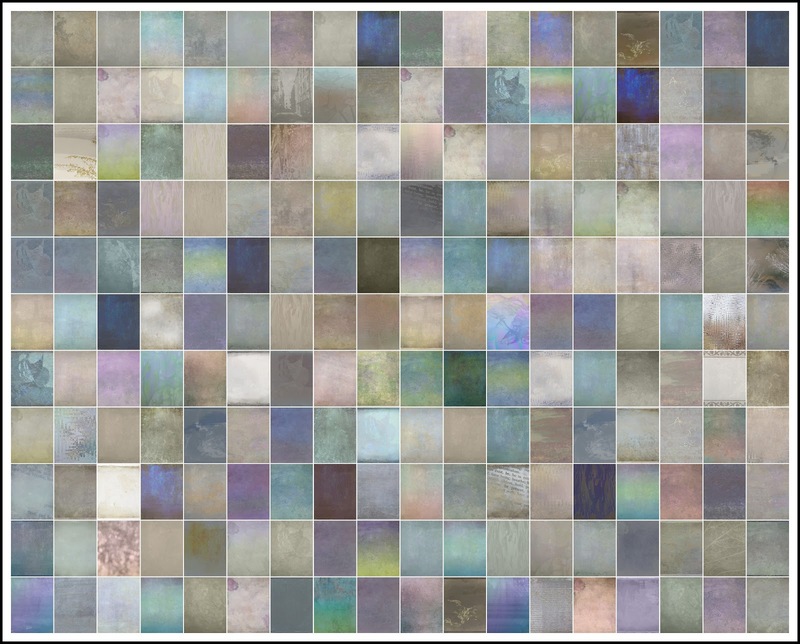 The materials and resources released by the Photo-Art Resource Cache will not be released anywhere else. 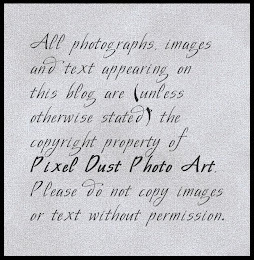 They will be available exclusively to subscribers of the Photo Art Resource Cache. None of the above-mentioned resources will ever incur a fee beyond what you have already paid for the subscription. Again, the cost of a 3 month subscription to the Cache is only $25.00. That comes to 28 cents a day for instant access to stacks of superior materials for your digital endeavors. Note: Subscriptions are automatically renewed for subsequent three month periods. You always have the option to unsubscribe. Due to the nature of digital products, refunds are not an option. 1. Are the textures high resolution....so that work we create is printable or are they just for web use? 2. I don't have a blog.....would that be a problem? This sounds like something I would enjoy, as I love the look of textured images. However, I have a lot to learn about their application and how to blend them with other images.